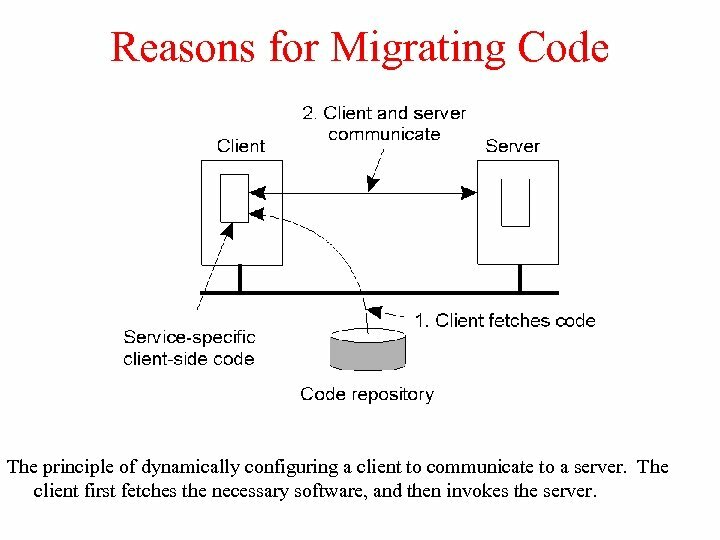 Reasons for Migrating Code The principle of dynamically configuring a client to communicate to a server. 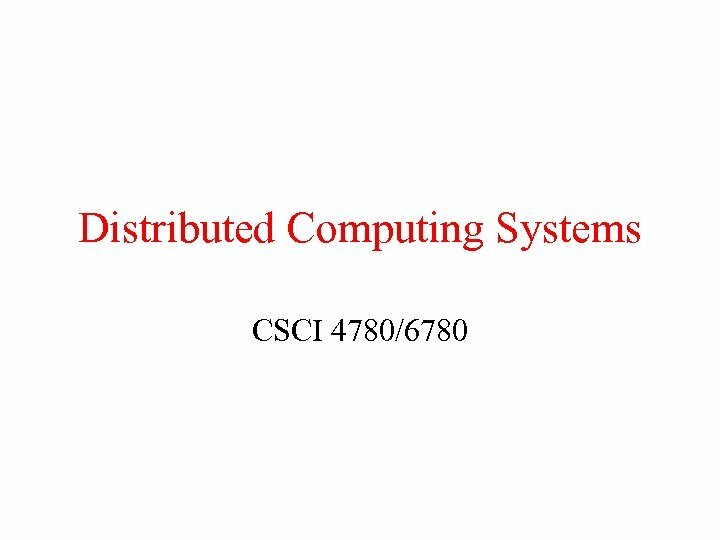 The client first fetches the necessary software, and then invokes the server. 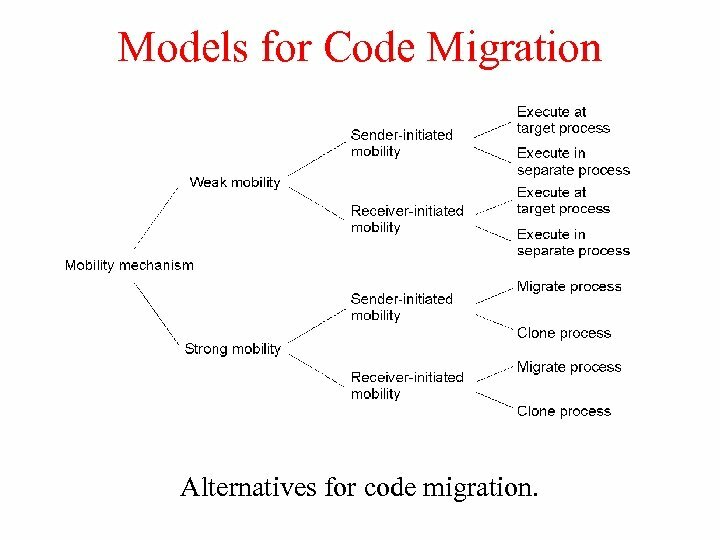 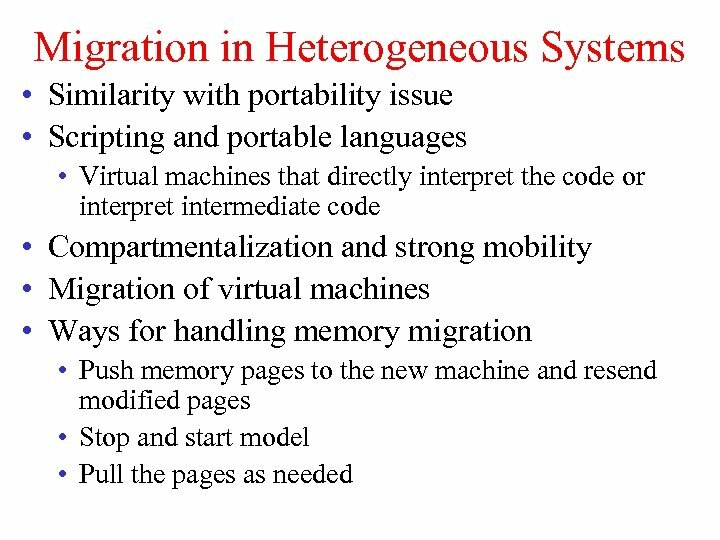 Models for Code Migration Alternatives for code migration. 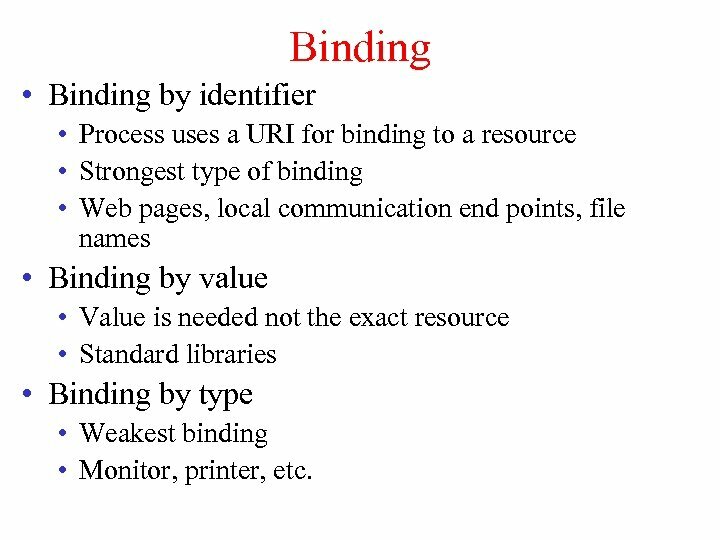 Binding • Binding by identifier • Process uses a URI for binding to a resource • Strongest type of binding • Web pages, local communication end points, file names • Binding by value • Value is needed not the exact resource • Standard libraries • Binding by type • Weakest binding • Monitor, printer, etc. 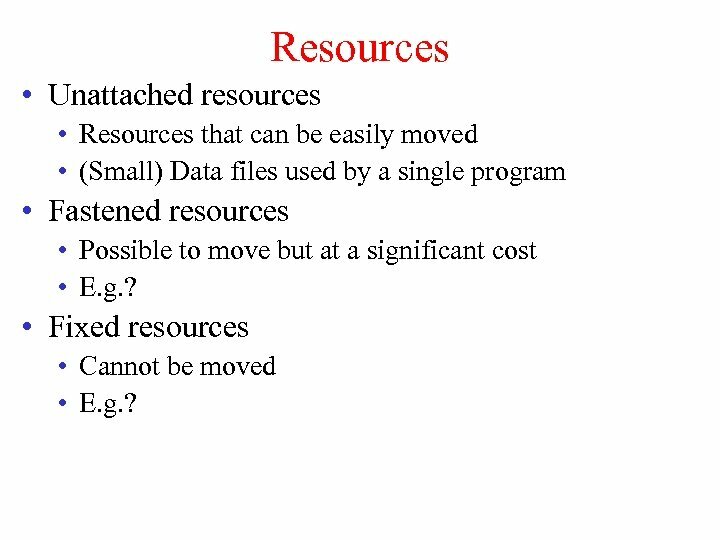 Resources • Unattached resources • Resources that can be easily moved • (Small) Data files used by a single program • Fastened resources • Possible to move but at a significant cost • E. g. ? 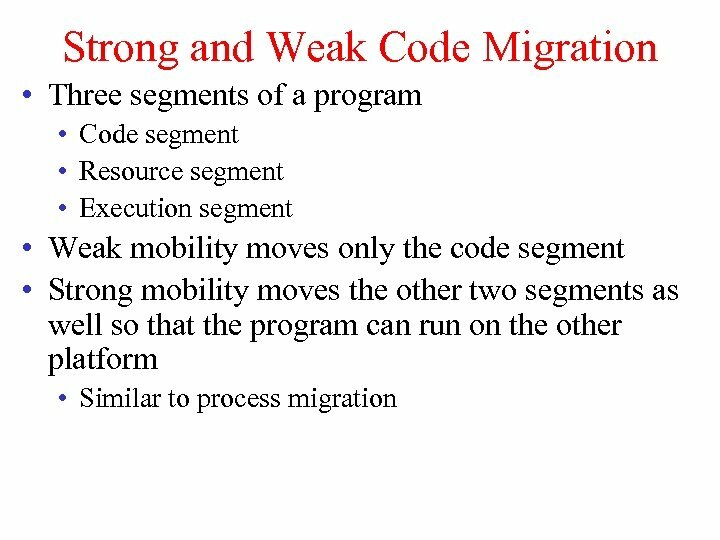 • Fixed resources • Cannot be moved • E. g. ? 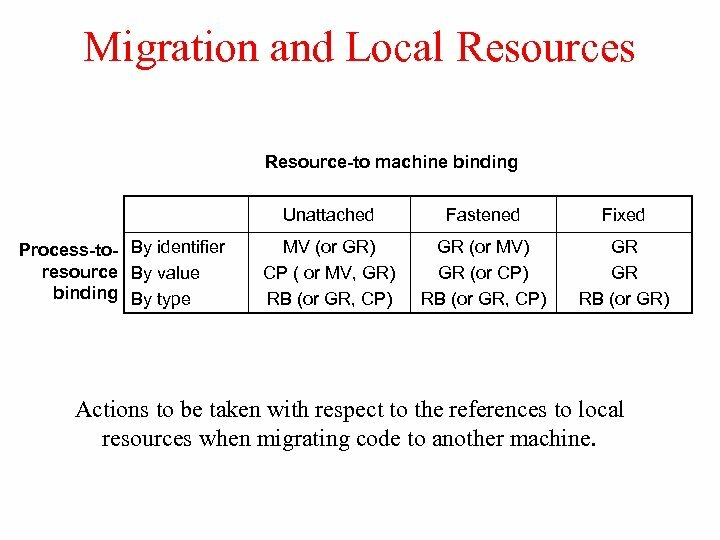 Migration and Local Resources Resource-to machine binding Unattached Process-to- By identifier resource By value binding By type Fastened Fixed MV (or GR) CP ( or MV, GR) RB (or GR, CP) GR (or MV) GR (or CP) RB (or GR, CP) GR GR RB (or GR) Actions to be taken with respect to the references to local resources when migrating code to another machine.